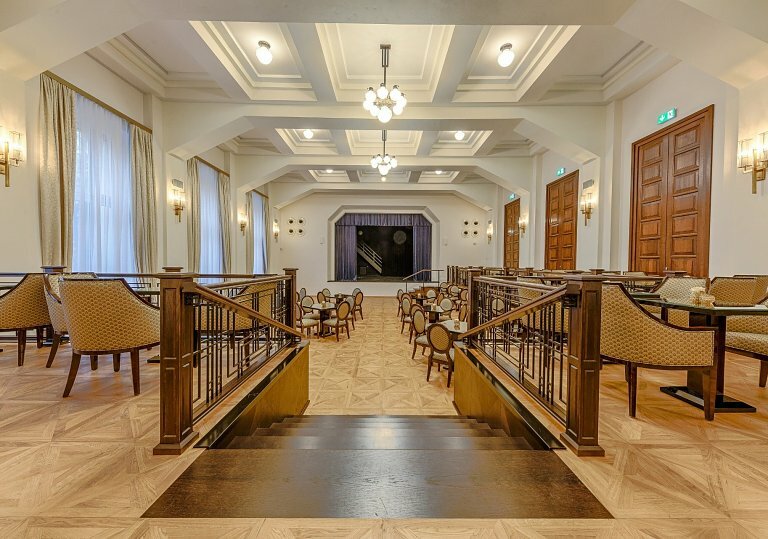 The Kursalón entertainment hall with its own podium and a capacity of 130 comfortable seats is the heart of the cultural and social life of the ROYAL PALACE ***** hotel. The high ceilings, bright spaces, and historic Art Deco furniture combined with state-of-the-art technical equipment and top services will ensure that your corporate event, conference, meeting, or private celebration will be unique and absolutely perfect. For smaller business meetings, we offer the Elisabeth Salon with a capacity of 8 seats. 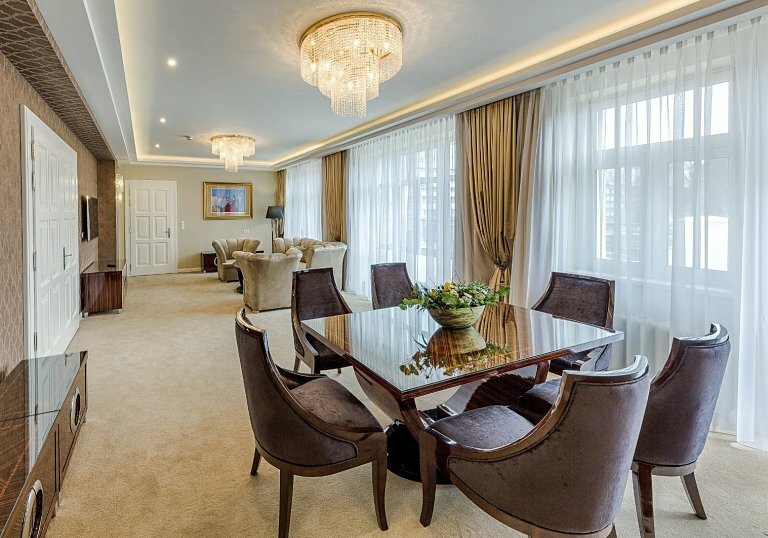 The salon is connected to the adjacent superior Elisabeth Suite for your ultimate luxury and discretion. A spacious summer terrace with garden furniture is available during the meeting. The view of the garden and the spa park will enchant you. You can enjoy your favourite bottle of wine, or a glass of exquisite whiskey, cognac, or rum at the Sissi Club, which is located right next to the restaurant. In a quiet atmosphere, alone or in a circle of friends, with a good book or a game of chess... However you might choose to spend your lovely afternoon. 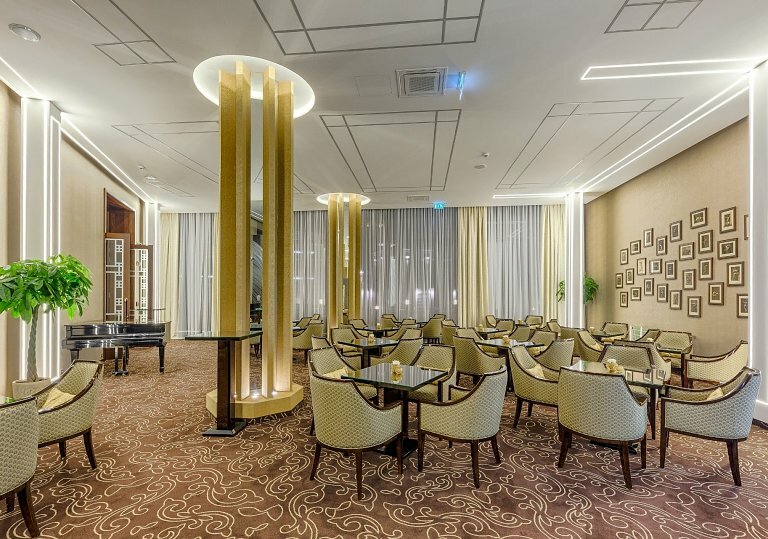 The Sissi Club includes a separate smoking area with an exclusive selection of cigars, and you might also be pleased by our richly stocked wine bar. The system of smaller dance floors in the middle of green areas creates a non-traditional open-air dancing area that invites you to spend pleasant summer evenings with captivating music. Our exclusive exteriors at the hotel atrium will transform your banquet into a luxurious garden party. 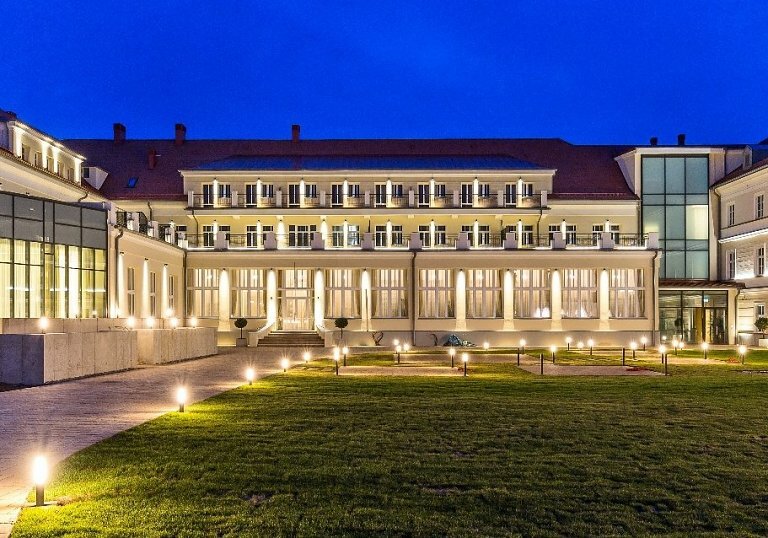 May 19, 2018, the day of the royal wedding and beautiful sunny weather saw the official opening of the doors of the unique spa hotel Royal Palace*****.